I finally got around to seeing It (2017). Too me long enough, didn't it? 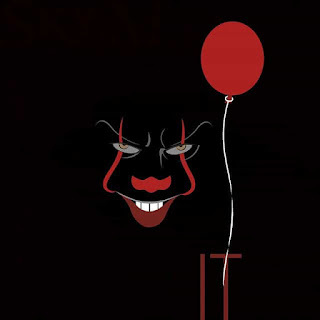 I liked the original version that aired on TV in 1990 with Tim Curry, and I was not thrilled with the idea of seeing anybody else play the part of Pennywise. I realize the original was not great, but Curry was so good that he made it worth watching. Although I had decided not to bother with the new one, I kept hearing about how great it was. Many reviewers described it as one of the scariest horror films to come along in a while, and some went so far as to call it one of the best horror flicks of 2017. Maybe I was missing out on a great film. 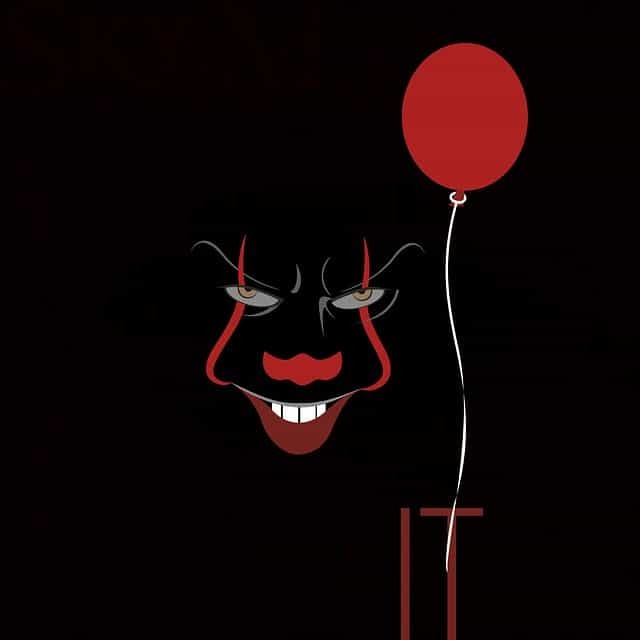 Now that I've watched the new version of It, I am happy to admit that it was a better film than the original in many respects. It was scarier, although that isn't saying much. I never found the original to be scary, and I was disappointed not to find the new one scary either. I struggled to understand how anyone over the age of 15 would find it scary. Still, it was scarier than the original. The child actors in this one did a much better job than those in the first film. They were more likable and relatable. The pacing was better too. There were only a few points where I felt like things were dragging, and this was a problem with the original. Not surprisingly, the special effects were much better, creepier, bloodier, and all-around more effective. In so many ways, this version was an improvement on the original. Unfortunately, the one area where the original was better was the big one: Pennywise. I appreciated how the actor playing him in the new version of the film, Bill Skarsgård, did not try to imitate Curry. That was the right choice. I also thought this version effectively made Pennywise a much darker and more sinister character. Unfortunately, they also chose to give him a voice that made him sound like a Muppet. Every time he opened his mouth, it took me right out of the film. I kept trying to figure out which Muppet he sounded like, and whatever tension the scene had created evaporated in an instant. Curry's Pennywise might not have been as scary, but he had personality. He turned that character into something special. I cannot say the same for Skarsgård's version. It was passable, but it provided nothing memorable. I found myself thinking that they needed more for it to work. He was scary until he spoke, but he was ultimately too one-dimensional to stand out in a crowded field of horror villains. It (2017) was an enjoyable movie. I liked almost everything about it, and I'm glad I finally saw it. It was well-acted and shot effectively. It corrected many of the problems with the original. I was disappointed that I did not find it scary, especially when so many of the reviews stressed how scary it was. I think the biggest disappointment was that it seemed like they missed an opportunity with Pennywise. Would I recommend It (2017) to others? It depends. If you liked the story of the original but found yourself frustrated with the low-budget feel, excessive length and poor editing, or Curry's admittedly over-the-top performance, then I would recommend this one to you. While it was a remake, it was also a fairly effective re-envisioning. It brought a darker, creepier vibe that was fairly effective. On the other hand, if what you liked most about the original was Curry, then it is hard to imagine that you'll be happy with this version. I'm glad I saw it, but once was enough.